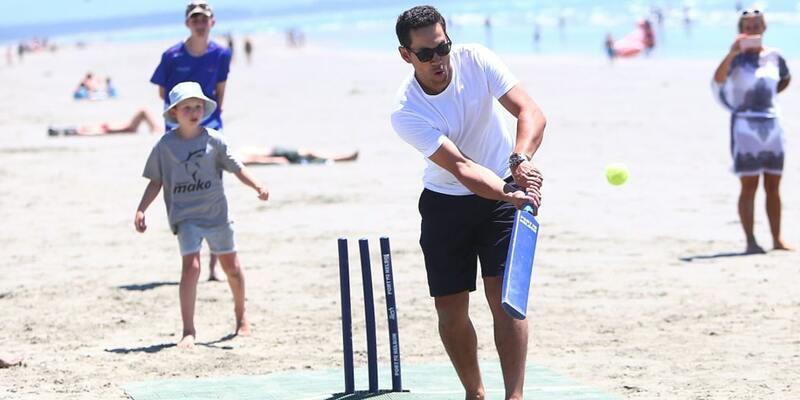 With cricket participation rates growing by 20% each year, cricket clubs and associations in New Zealand are finding they are a victim of their own successes with a severe shortage of suitable cricket grounds and facilities to play the game. 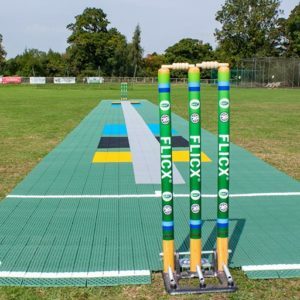 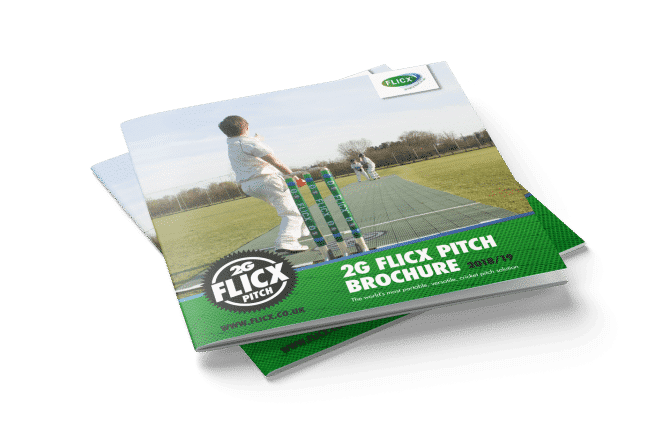 The beauty of 2G Flicx product is undoubtedly its versatility and portability; One match pitch can be moved by one person using the Flicx safety trolley and then split into two batting ends. 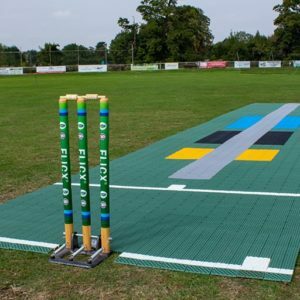 Preparation time is short (the grass below just needs to be cut short) and maintenance minimal whilst the new, softer 2G tile offers excellent grip and offers spin for those bowlers who can turn the ball. 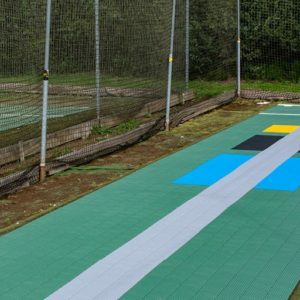 Increasing cricket capacity whilst still offering a realistic cricket experience to both batsmen and bowlers. 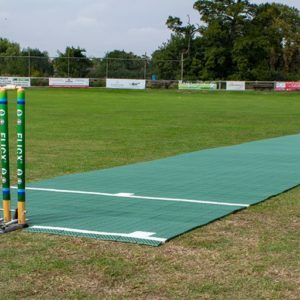 Senior adult matches right down to grassroots levels for juniors where the pitch can be split and rolled out on the outfield.